Life is full of surprises. If you suffer from gluten intolerance symptoms, you should be constantly thinking about what has gluten in it. Soy sauce is just one of the foods that those with gluten sensitivity and celiac disease should avoid. A protein found in wheat, barley, and rye, gluten comes in many guises. It can be a filler, a binder, a thickener, and even a protein enhancer. So what has gluten in it? Some answers might catch you off guard. 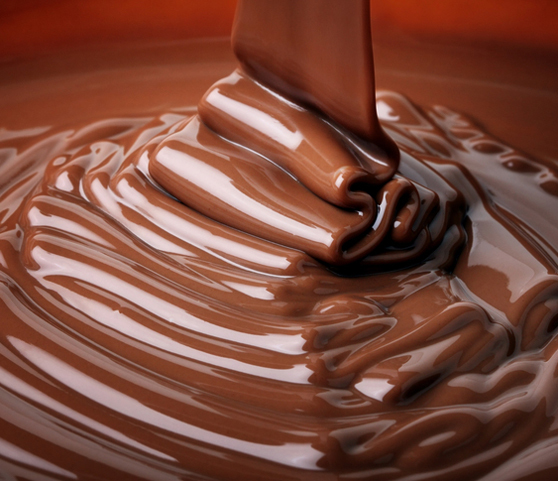 Did you know, for example, that soup, sushi, ice cream, and even ketchup can contain gluten? We asked several leading dietitians who are experts on the gluten-free diet for what has gluten in it, including some of the most surprising places you may find gluten. This information is especially important if you’re interested in preparing gluten-free recipes. Job 1, after all, is to determine whether you’re unwittingly serving foods with gluten in a recipe that claims to be gluten-free. Here’s our list of a dozen foods that may contain gluten. You’d think soy sauce would simply be made with soybeans but not so, says Rachel Begun, MS, RD, a gluten-related disorders expert in Boulder, Colo. Most soy sauce is fermented with wheat; some brands contain nearly equal amounts soybeans and wheat. And look beyond the bottle. 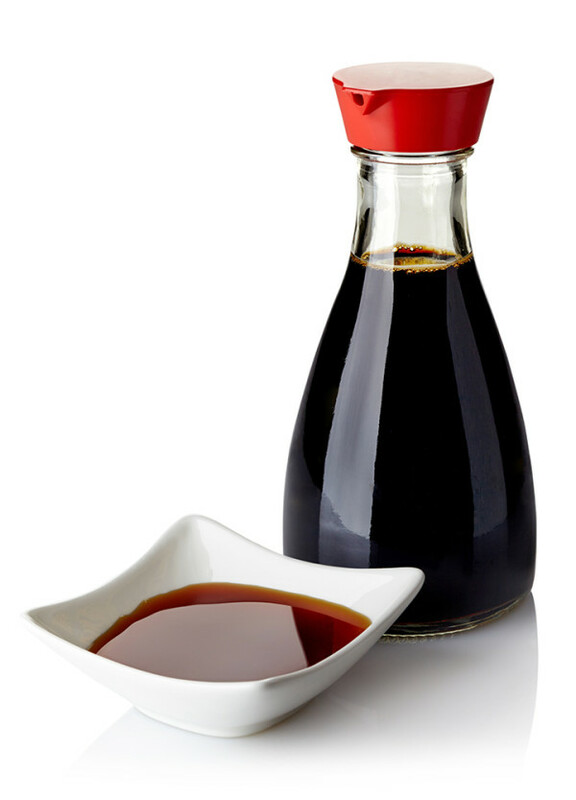 Soy sauce is also found in many salad dressings, sauces, marinades (think teriyaki), and packaged and frozen foods. Many tamari-style soy sauces—but not all—are gluten-free. Look for: Gluten-free tamari (check out Eden organic and San-J brands) and Kikkoman gluten-free soy sauce. Bragg Liquid Aminos is another gluten-free choice, as is Coconut Secret’s Raw Coconut Aminos. Is oatmeal gluten free? Although oats don’t contain gluten naturally, most conventional oats are contaminated with wheat (or barley or rye) during farming, harvesting, processing, and packing. Seek out certified gluten-free oats, says Marlisa Brown, MS, RD, author of Gluten-Free, Hassle-Free. Gluten-free oats contain less than 20 parts per million (ppm) of gluten. In contrast, some conventional oats have been tested to contain up to 1,800 ppm of gluten. Look for: Certified gluten-free oats from GF Harvest, Montana’s Gifts of Nature, Cream Hill Estates and Bob’s Red Mill. Gluten-free instant oatmeal is available from Glutenfreeda and Bakery On Main. Many people don’t realize that wheat can be added to chicken broth, says Suzanne Simpson, RD, clinical nutritionist at the Celiac Disease Center at Columbia University Medical Center. Bouillon cubes and soup base mixes also may contain added gluten as a binding agent. Look for: Gluten-free chicken broth and soups from Imagine, Pacific Foods and Kitchen Basics. These corn- and rice-based cereals may sound safe but they usually contain malt flavoring made from barley, Simpson says. Is barley gluten free? No, barley has gluten. But Barley is not one of the top eight allergens and does not need to be identified in food labels, so look for cereals labeled gluten-free. Look for: Kellogg’s Gluten-free Rice Krispies, Erewhon Corn Flakes and Erewhon Crispy Brown Rice Cereal, as well as Chex gluten-free cereals. Red or black, licorice is off limits. While licorice root does not contain gluten, licorice sticks and licorice candy are almost always made with wheat flour—and quite a lot of it. Look for: Orgran Molasses Licorice and Gimbal’s Licorice Scotties. When you order a dish with crab meat—such as sushi, California rolls or crab dip—ask whether it is made from imitation crab, Simpson says. Imitation crab is made from white fish, such as pollock, wheat, coloring and flavoring, all put together to resemble snow crab. Look for: Sushi made with real crab meat or soft shell crab. Although many deli meats are gluten-free, watch the slicer, Simpson says, since gluten-containing meats may be sliced on the same equipment. Buy pre-packaged deli meats clearly labeled gluten-free or ask the person at the deli counter to change their gloves and discard the first one or two slices of meat from your order. Look for: Gluten-free meats from Applegate, Boar’s Head, Columbus and Dietz & Watson. Chocolate-lovers on a gluten-free diet should avoid products containing wheat, barley malt or, simply, malt. Check labels carefully. Look for: Labeled gluten-free chocolate from Enjoy Life, Endangered Species, Chocolate and Scharffen Berger. Malt vinegar, which contains gluten, is sometimes used in the pickling process, Rachel Begun says. Although distilled vinegars are gluten-free (the distillation process removes the gluten protein), malt vinegar is fermented, not distilled, so it is not gluten-free. Look for: Mt. Olive, Bubbies and Heinz pickles. This pantry staple is usually a safe, single ingredient food. But you should always read labels when it comes to gluten because there are exceptions to the rule, Begun says. Flavored tomato paste (think tomato paste with Italian herbs) can contain gluten. Look for: Plain tomato paste, including products from Bionaturae, Cento and Muir Glen. Products labeled wheat-free aren’t always gluten- free. A case in point: “Wheat-free” pie shells may be prepared with rye flour or spelt and “wheat free” cookies can contain oat flour or barley malt. Under the FDA’s new labeling rule, gluten-containing grains (such as wheat starch) that have been processed to remove gluten may be allowed in gluten-free foods as long as the total gluten content measures below 20 parts per million. This is probably okay for celiacs, but it may be a problem for those with wheat allergies, Marlisa Brown says. What has gluten in it? 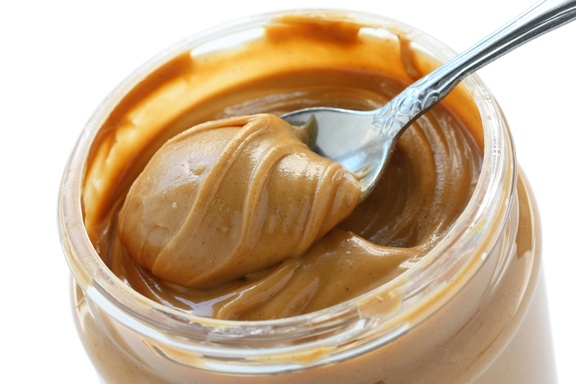 That peanut butter jar in your kitchen could well have been contaminated by traces of gluten. Your favorite peanut butter may come gluten-free, but if you have gluten eaters in your household, it probably isn’t anymore. Double-dipping a knife into peanut butter, mayonnaise, mustard, or cream cheese renders otherwise gluten-free foods no longer safe, Brown says. In addition, don’t use the same toaster for gluten-free and gluten-containing bread. Ditto for hard-to-clean kitchen items like colanders. a gluten free diet, allergies, celiac, celiac disease, chocolate, corn, diet, food, free gluten, gluten, gluten free, gluten free and, gluten free chicken, gluten free chocolate, gluten free diet, gluten free foods, gluten free oats, gluten free recipes, gluten free soy sauce, gluten in, is barley gluten free, is oatmeal gluten free, licorice root, milk, organic, protein, recipe, soy, the gluten free diet, what has gluten, what has gluten in it, wheat free. Why do you list ketchup in the teaser and then never address it in the article-unless I missed it. It is common for nutritionists to mention ketchup but MOST do not contain gluten. There are issues with some of the facts and brands listed above. Kellogg’s no longer makes any Rice Krispies cereal that are gluten free. Their Rice Krispies cereal contains malt which is made from barley — NOT gluten free. The information on oats is also erroneous. Certified gluten free oats are a good choice for celiacs and those with severe gluten sensitivity, however, the brands listed are not all certified gluten free. None of Bob’s Red Mill products — including their “gluten free oats” are certified gluten free. “Montana’s Gifts of Nature” is incorrect — the name is Montana Gluten Free. Furthermore, of the brands included, only Gluten Free Harvest, Montana Gluten Free and Glutenfreeda use PURE gluten free oats, also known as oats grown under the purity protocol to reduce the risk of cross-contact with gluten containing grains. Purity protocol gluten free oats are what are recommended for people with celiac disease or severe gluten sensitivity. For more information, check glutenfreewatchdog.org for lists of current purity protocol companies, or gfJules.com for articles on why purity protocol is the safest choice, and how to identify products that are gluten-free from the labels.